Purple Print Halter Prom Evening Dress | Sung Boutique L.A. This elegant charmeuse evening dress features halter neckline with beads, sequins flowing through the front to the back t-strap. 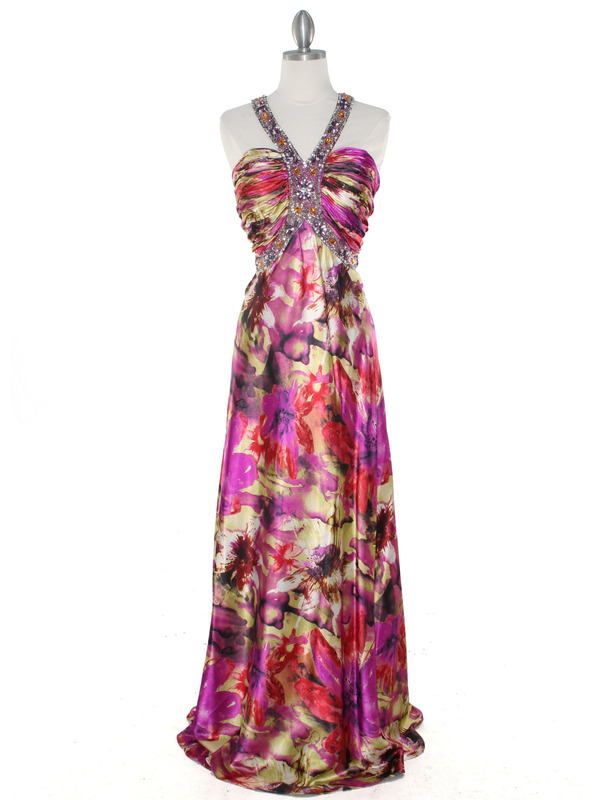 Beautiful floral design with pleated bodice and flowy long skirt finish this gorgeous look. - Approx. 63 in. from neckline to hem.